Gauge-face lubrication is a staple on North American railways. Friction management remains one of the best tools available to reduce wear, lateral track loading and energy consumption. Managing friction is a balancing act. Too much friction (resulting from little or no lubrication) leads to high wear, surface fatigue, and high lateral forces. Too little friction (resulting from an overlubricated condition) can negatively affect truck steering forces, and tractive and braking effort—an incident relating to which is certain to raise a red flag to operators of freight and passenger systems. Component wear and vehicle performance are significantly affected by friction and how well it is managed. Important though it is, the coefficient of friction (COF) at the rail surface is somewhat difficult to quantify. The COF, which is affected by sun, rain, grease, and what researchers refer to as the “third-body layer,” a film made up of sand, brake shoe debris, iron oxides, leaves and other organic materials, typically ranges from 0.2 (µ), or less on wet or greasy rail to 0.65 (µ) or more on dry, or freshly ground rail. “I’ve measured it at 0.8 in on track in the Arabian gulf, where it was actually quite humid with a fair bit of sand and dust blowing around,” said Rob Caldwell, Senior Engineer at the National Research Council Canada. At the top of rail, a COF of between 0.3 and 0.4 represents the ideal range—”a COF of 0.3 being not so low that you risk braking issues or wheel spin from powered axles, and 0.4 being not so high that you risk performance and wear issues relating to high lateral forces,” he said. 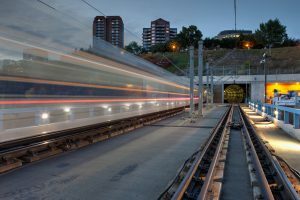 Rail (and wheel) wear are significantly affected by how well or how poorly friction is managed. In challenging territories, most railroads take a two-pronged approach, applying grease to the gauge face and friction modifiers, which are engineered to hold the COF within a specific range, to the top of rail. In freight applications, gauge-face (GF) lubrication is typically applied by wayside units installed in advance of curves. Top-of-rail (TOR) friction modifiers are applied by wayside units or, less frequently, by on-board, locomotive- or car-mounted application systems. Several transit systems use truck-mounted solid-stick systems that apply material directly to the wheel flange or wheel tread surface. Regardless of the delivery system, the goals are to reduce wear and lateral forces in curves and energy consumption, overall. One caveat, however, is that the benefits associated with friction management can go up in smoke very quickly if it is not maintained, he said. All the benefit obtained from months of well-balanced friction management can be erased within a few days of “dry” running on a heavy haul line if the friction management regime is interrupted because the tank runs dry, or the applicator bars have been removed for grinding or other maintenance. 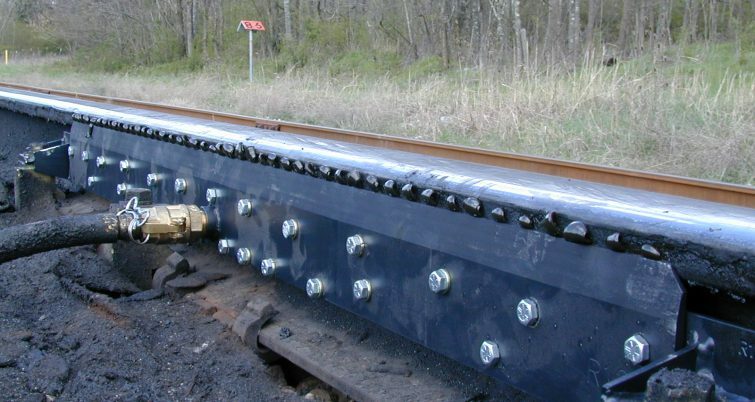 Norfolk Southern uses water-based TOR friction modifiers along with gauge-face lubrication on more than 800 miles of track on core routes, including the Pittsburgh Line which includes an abundance of 6- to 8-degree curves and 110 MGT of traffic. NS accomplishes this with wayside TOR applicators spaced at 2- to 3-mile intervals. And as friction modifier materials have improved, NS has been able to increase the distance in some areas to 3 to 4 miles between TOR applicators, said Brandon Sherrod, Engineer – Rail Health Management at NS. “We’ve had territories, such as the CNOTP [Cincinnati New Orleans & Texas Pacific] on which we’ve gone in and respaced the units based on longer carry distances we’re seeing from the newer material,” he said. In gauge-face applications, NS uses oil-based lubricants and some semi-synthetic materials as needed in curves across the system. NS also installs TOR units in locations showing evidence of high lateral loading. 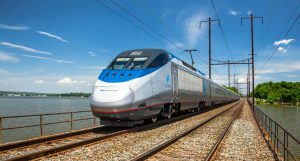 “If we are seeing problems with raised or broken spikes, or gauge widening in a particular curve, we’ll sometimes place a TOR unit in close proximity to the curve to help reduce curving forces,” Sherrod said. Like others in the industry, NS is looking for still better carry-down rates as lubrication and friction modifier materials improve. 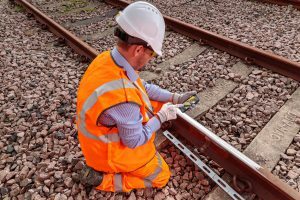 For all the benefits it provides, friction management is still not as well understood as other aspects of track maintenance. “Railroads don’t question whether friction management is good for their overall track maintenance program,” Dyavanapalli said. But the industry is at a point where it needs to figure out how to measure its return on investment. “We know that there are huge paybacks,” added, Steve Fletcher, Director of Global Friction Management at L.B. Foster. But suppliers also know that Maintenance, Operations and Mechanical groups are often siloed. The cost of lubrication / friction management is often borne entirely by the Engineering-Track department, while the benefits flow through to other departments in the form of reduced wheel wear and fuel consumption—an inequity that can constrain wholesale implementation. There are exceptions, of course. Canadian Pacific adopted a holistic approach to friction management a decade ago, and even through a number of upper management changes maintains a semblance of it today. More recently, BNSF established systemwide management of the lubrication / friction management program that relieves local track managers of budgetary decisions relating to it. Budgetary issues notwithstanding, railroads have begun taking more of an engineering approach to friction management, rather than following the typical distance-based formula for where and how many lubricators are installed. They’re also beginning to look to suppliers to support the service side of the business. L.B. 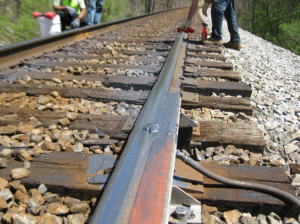 Foster provides contract service to oversee friction management on CSX’s northern tier. This TOR unit is one of 287 wayside gauge-face and TOR units included in the project. CSX, for example, has outsourced friction management on the norther tier of its network to L.B. Foster, which has installed 287 wayside gauge-face and TOR units, covering about 1,400 miles of track. “We own the equipment. We install it, maintain it and supply the consumables. And we’re held accountable for the uptime on the units,” said Jim Tanner L.B. Foster’s Director of Rail Business Field Services. Over the past two years in which the service contract has been in place, Tanner says that the company has been able to maintain 90 percent or better uptime—a significant improvement over the industry average. Uptime is a, if not the, essential element of a successful lubrication / friction management program. 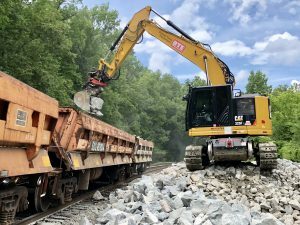 What’s the point of spending money on equipment, materials and maintenance if uptime falls to less than 50 percent, which is not uncommon on busy Class 1 railroads where competition for maintenance resources is intense? Echoing what the NRC’s Rob Caldwell pointed out: The most effective lubrication / friction management program can go for naught, if it’s interrupted by something as simple as letting the reservoir run empty. Railroads know this. Through AAR-funded research at the Transportation Technology Center, Inc., (TTCI), they’ve supported research into emerging technologies and issues associated with lubrication / friction management programs for decades now. Last year, for example, the TTCI completed an evaluation of ways to reduce wasted material in automated gage-face lubrication technology at FAST (see RT&S October 2018 p. 16-18). In a joint study with a Class I railroad, the TTCI is evaluating “all-season” gauge-face lubricants, which are meant to be used under extreme hot and cold temperatures without the need to change product types or perform other maintenance related to seasonal variations. The TTCI also evaluated rail performance over two 39-MGT periods on four curves in revenue service over a two-year period. The objectives were to document the influence of TOR friction modifiers on rail friction, rail wear, and the development of rolling contact fatigue (RCF) on select curves (as reported in TTCI Technology Digest TD-17-035 and TD-18-031). Over the course of the test, the rails, which differed by rail mill, age and wear, were ground twice to replicate typical conditions. Observations over a 39-40 MGT period, each with a different TOR product, indicated that the TOR materials used in the test did not accelerate the development or growth of RCF. When the TOR materials were applied in an area that was also subjected to periodic grinding, RCF did not become excessive. While extended monitoring would be required to assess the long-term effects, initial results have generated interest among Class I railroads to further evaluate the influence of TOR friction management on the growth and development of RCF. Consequently, additional testing of RCF development relating to other TOR materials has been proposed in the TTCI’s research plan for the next few years.